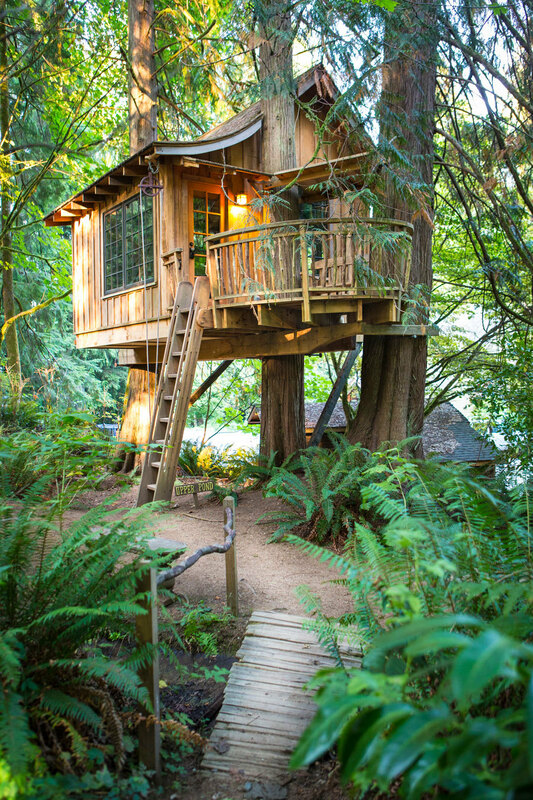 Treehouse at Swallowtail Studios. 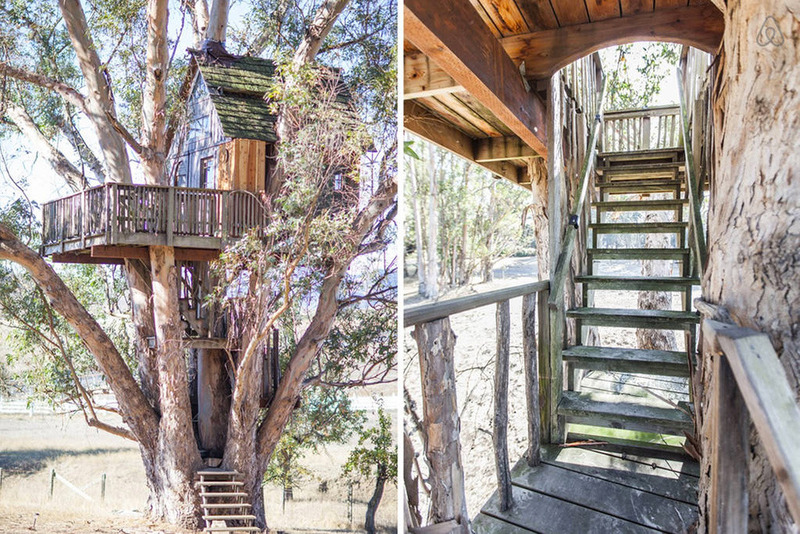 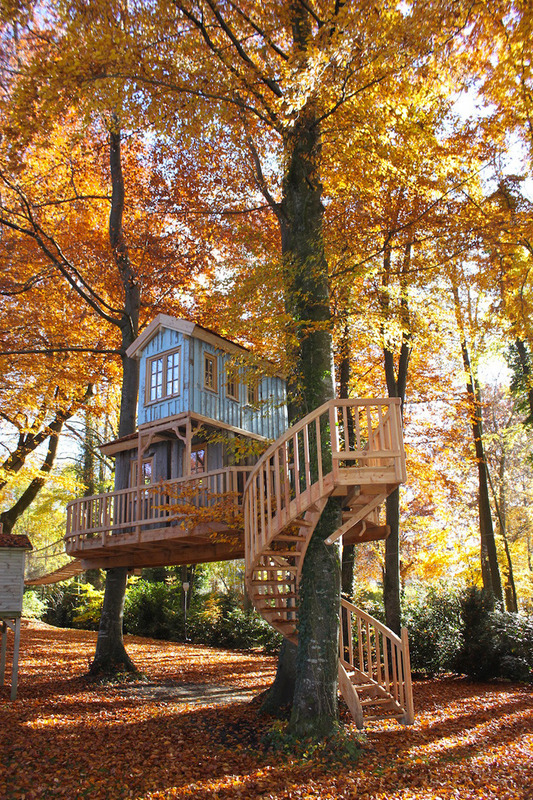 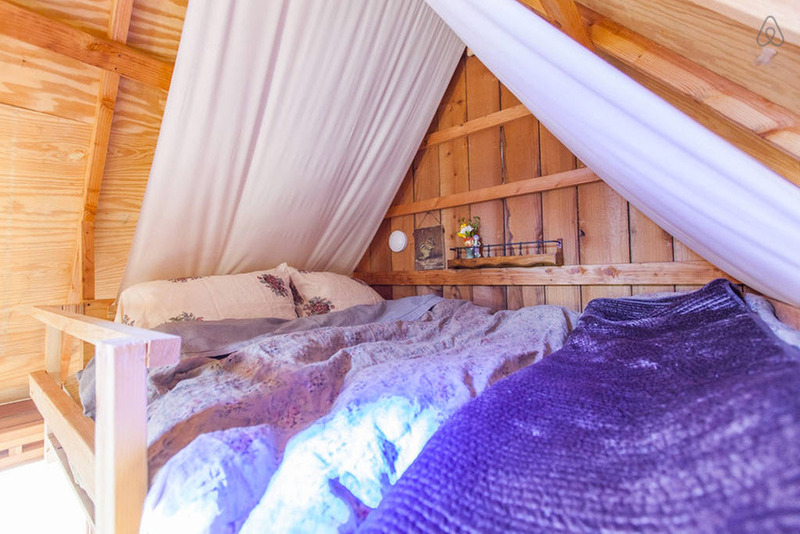 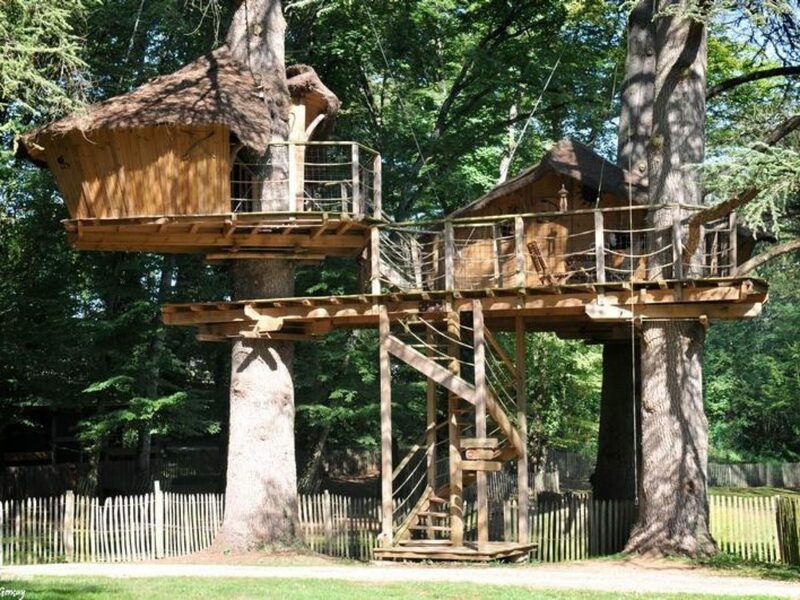 Absolutely romantic treehouse resting securely in a huge multi-trunked 110 ft. eucalyptus tree. 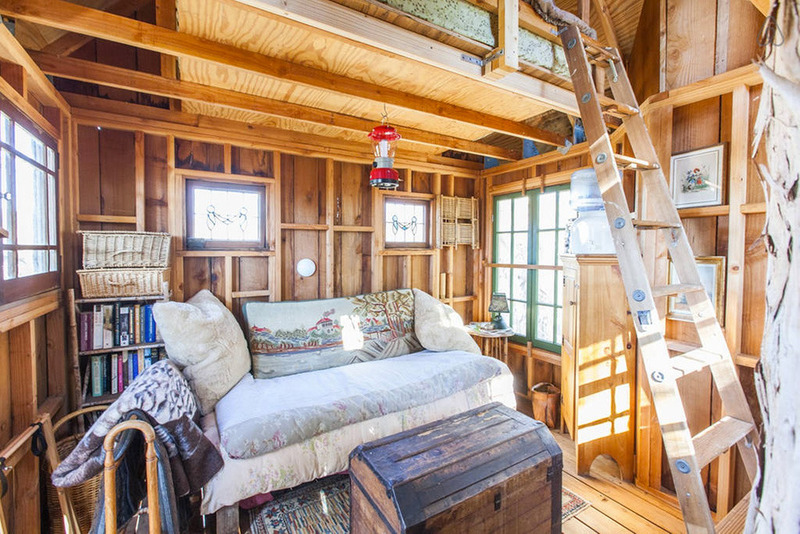 Spacious deck opens up to a dreamy rural surroundings and bohemian interior gives you a magical experience. 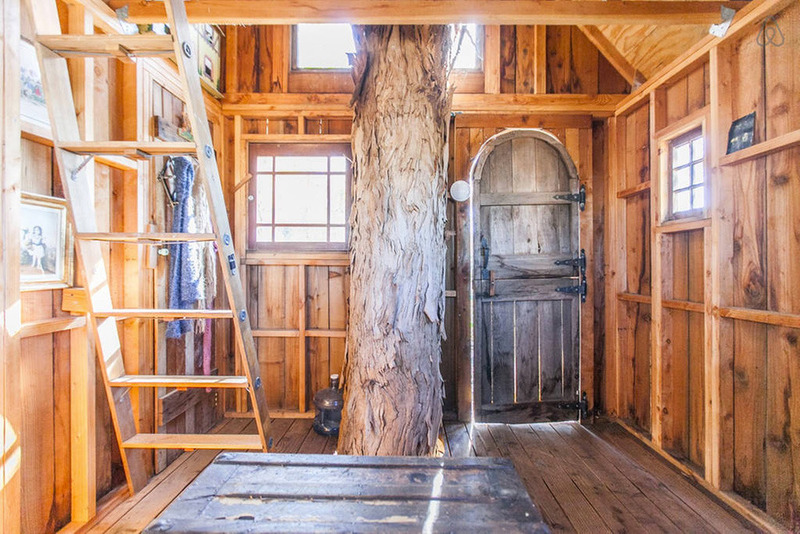 In the same property there is a large redwood barn in which The Grateful Dead played a gig back in the 1970s! 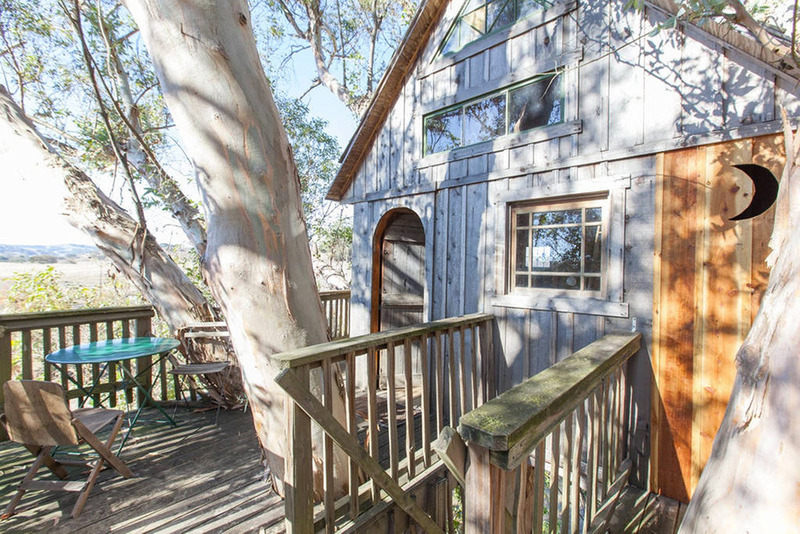 Located in Petaluma, California.